When 27-year-old Dimitrius Graham appeared in the American Idol show, he asked judges for a very special favor, which left many in tears. His mother Lorraine had an operation the next day, which made her unable to see her son's live performance. That's why Dimitrius decided to ask for help from the judges! 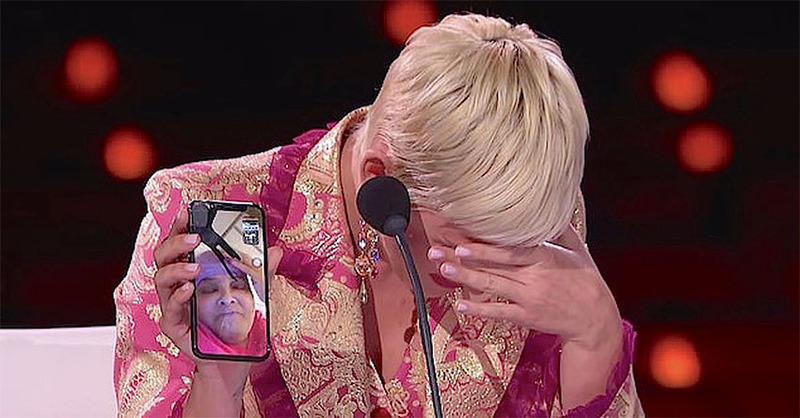 He asked if he could make a video call with his mother before the performance and then put the mobile phone in judges' hands so that his mother would be able to hear him live. They agreed to his request, and the mobile phone was taken by the judge Katy Perry. Katy Perry said to mom Lorriane that she hopes that angels are watching over her. "And speaking of an angel, your son is about to sing for us, and we want you to be a part of this moment," she added. She then turned the mobile phone towards the stage where Dimitrius showed his singing talents with his redention of the song "Wind Beneath My Wings", which is originally performed by Bette Midler. The judge Katy Perry was so moved that she could not even look at the stage. At the end of the performance she had to wipe her tears from the face! Look at the wonderful performance of a 27-year-old young man, which was also seen by his mother with the help of judges and the live video call!